The Williams Company proposal of the Atlantic Sunrise pipeline has been challenged by a lawsuit in Philadelphia. The timing of the progression of the lawsuit is uncertain. Williams Company hopes to have approval by the Federal Energy Regulatory Commission in October. The Delaware Riverkeeper Network says a gas line that would run through 10 counties would violate the Clean Water Act. 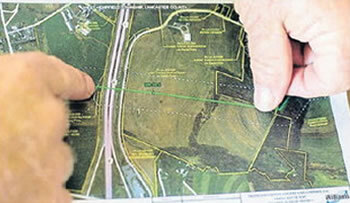 After overcoming a series of regulatory hurdles, the Atlantic Sunrise Pipeline project has been dealt a potential setback as a lawsuit challenges its legality and that of its newly issued permits. In the suit filed in the Third Circuit Court of Appeals in Philadelphia, the Delaware Riverkeeper Network of Bristol challenges state water-quality permits issued by the Department of Environmental Protection for the 200mile, 10-county, $2.6 billion natural gas pipeline project. The group claims the project and water-quality plan would violate the federal Clean Water Act.